John the Baptist was a voice in the wilderness. Relentlessly, he urged people to live the truth of God's word. Boldly, John confronted King Herod about living in an adulterous relationship with his brother's wife (Matthew 14:4). Tragically, instead of repenting, Herod ruthlessly misused his power and silenced John's voice by ordering him beheaded. John chose to speak truth for he knew truth sustains community while deception destroys it. We, the disciples of Christ, are called to speak truth in love (Ephesians 4:14-15); to be transparent and dependable. So, like John, let us fearlessly be a voice of truth for this alone will sustain community and God's beautiful creation. Asia Evangelical Alliance General Assembly 2016 and the Asia Church in Mission Congress on "Ethical Leadership and Authentic Discipleship and the Kingdom of God" will be held from 30th August to 1st September, 2016 at Bandung, Indonesia. About 300 participants, including delegates from National Alliances, AEA Executive team and commissions, leaders from the host country and some observers and partners are expected to attend these events. These events are hosted by the Indonesia Evangelical Alliance (PGLII) and The New Testament Christian Church (GKPB) in Bandung. The venue will be The New Testament Christian Church in Bandung, Indonesia. The General Co-Ordinator is Dr. Bambang Budijanto, Director of Mission Commission, AEA. He can be reached at crljourney@gmail.com. The Church in Asia feels the impacts of the families breaking down at an alarming rate in recent decades. AEA has planned to launch an Asia-wide initiative to lead in the development of family ministry among the AEA member alliances. 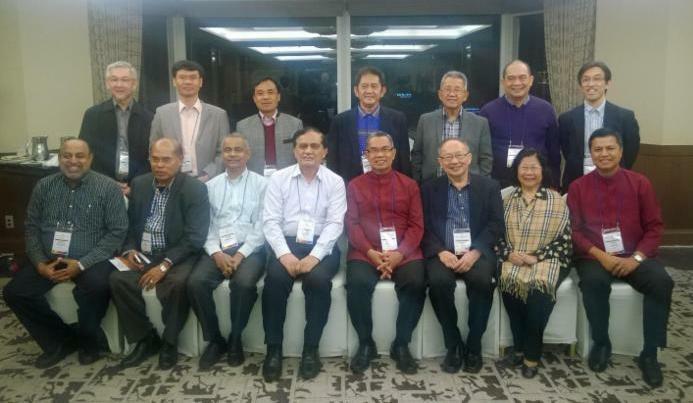 The participants of Christian Conference of Asia (CCA), the Federation of Asian Bishops' Conferences (FABC) and the Asia Evangelical Alliance (AEA) will meet in Medan, Indonesia from 13th to 16th July 2016 to reflect theologically on the vital issue of climate change. The theme is "Climate Change and Our Common Home." AMCU has consistently asked what more can be done to further the movement towards ecumenical co-operation in Asia, what that co-operation might mean and what it should be about. 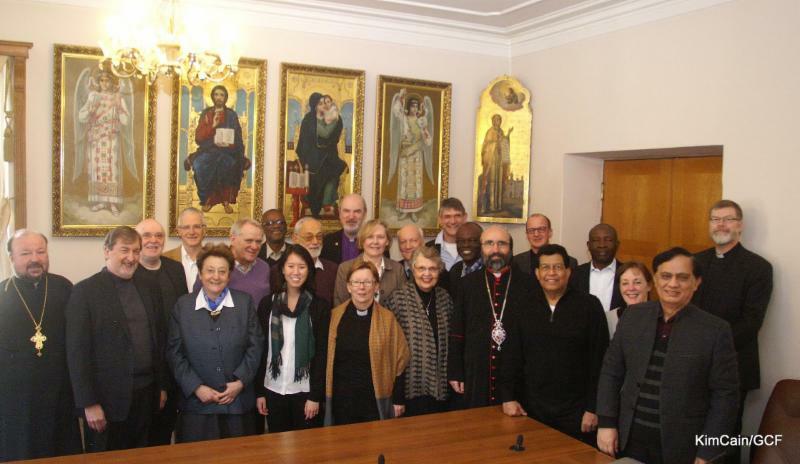 International Committee members of the Global Chrisitan Forum who met at Moscow. 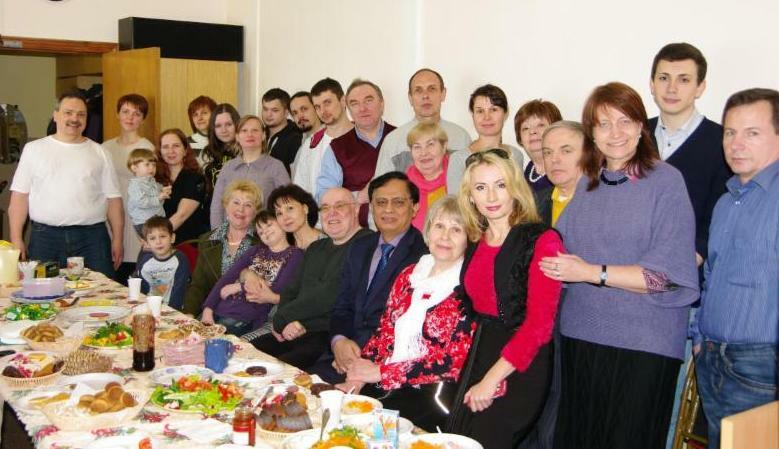 International Committee met in Moscow at the invitation from the Russian Orthodox Church from 23rd to 25th February at Department for External Church Relations (DECR) of Moscow Patriarchate. Pastor Sergey Vdovin in white T-shirt first from left. Secretary General Russian Evangelical Alliance Pastor Moscow Evangelical Christian Church Balzam. Sharing in meal after a vibrant Worship service on 28th February. has concluded its International Leadership Forum (ILF) February 29 to March 4th, 2016 in Seoul, Korea. The annual gathering brought together some 90 leaders from 40 countries to strengthen partnership across organizational and geographical boundaries in key issues facing the Church today. ILF participants visited and prayed at the Demilitarized Zone (DMZ) between North and South Korea, and issued a statement on the situation of the divided nation. Bishop Efraim Tendero, Secretary General of the WEA, says: "We are grateful that we received an overwhelming positive response from both, the participants from all over the world and the churches in Korea."